After the adoption of measures to resolve the crisis in the country, Ukraine's Security Service has decided to stop the preparations for the anti-terrorist operation, the press center of the security services. 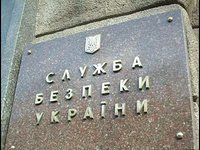 "Based on the steps taken in the country to resolve the social crisis and strengthen the political dialogue, in compliance with the law, the Security Service of Ukraine has decided to wind down the degree of alert of the units to combating terrorism, which was introduced on February 19, this year. Thus, the preparations for antiterrorist operation have been stopped," the press center of the SBU said. At the same time, the SBU continues performing its duties of protecting citizens from terrorist threat. As reported, the Security Service announced the start of preparations for an anti-terrorist operation in Ukraine on February 19.